Here is IAB's first look at the Honda Mobilio RS which will be launched in India. Details are embargoed until Saturday, and therefore in this story we can publish only what is already discussed. 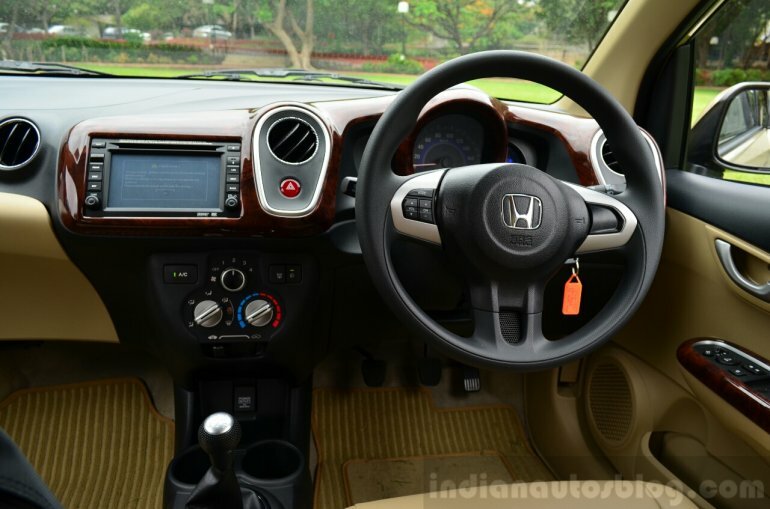 Honda Cars India is expected to introduce the Mobilio on the 23rd or 24th of July, and position it between the Maruti Ertiga and the Toyota Innova. The vehicle will be principally launched for the personal customer. 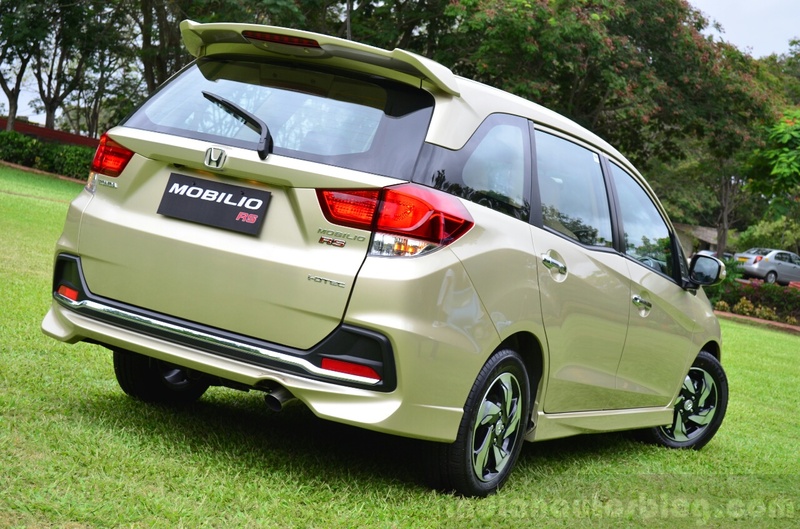 Honda told IAB that the Mobilio will target customers who are not just MPV seekers, but also SUV and sedan prospects. The RS variant launched in Indonesia adds extra zing to the Mobilio with sporty front and rear bumpers, a full body kit, roof spoiler, LED projector headlight with light guide, sharper twin-slat chrome grille, rear chrome band and specially cut 15-inch alloy wheels. The interior of the car is seen with a 6.1-inch touchscreen audio system and a faux wood finish to the driver side of the dashboard and door trims (also used on the Mobilios displayed at the shopping mall activations). The Honda Mobilio is based on the Brio platform and is built in Honda's Greater Noida plant. Its launch market was Indonesia at the IIMS last year, held in September 2013. In the Indonesian market, the RS is the flagship Mobilio variant. 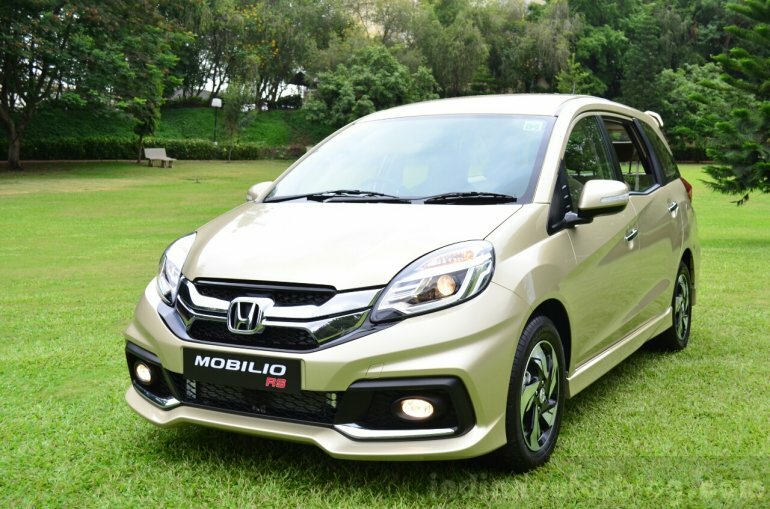 Launched in January, the Honda Mobilio became the second best selling car in Indonesia registering sales of 35,550 units, and securing a market share in its segment of 22%. The main rival to the Indonesian Mobilio, as in India, is the Maruti Ertiga.